My girls had so much fun and learned so much in just one week. I was so impressed with M&M Ranch! I loved that they had daily chores and really learned how to take care of the horses! During a work event my daughter fell in love with horses and wanted to spend more time learning more about them and learning how to ride. Last summer we discovered M&M Ranch where she attended day horse camp for a week. The owner gave me and my husband a tour of the ranch and let us meets the horses before we signed her up for anything. I was very impressed with how well the ranch was maintained. The horses looked very healthy and happy with their owners. The horses are well trained and very friendly. Instructors are wonderful with the children. I really feel like they understands them well and knows how to help them understand their lessons. I truly know that she cares very much for her students and campers. If you want your student to have a holistic approach to equine education M&M Ranch is a solid choice. 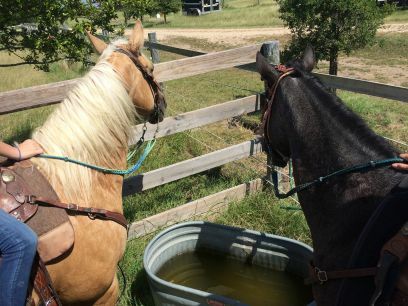 What I LOVE about M&M Ranch….M&M Ranch is all about quality training for student and horse. My daughter had been attending M&M Ranch for 7 years. She has attended private lessons and camps. The one on one training’s are priceless. The camps are a ton of fun with the many responsibilities that are instilled regarding equine care. The relationships that are forged with other students and campers are priceless. My husband and I love M&M Ranch and have recommended them to our friends from church and from our neighborhood. We will keep going to their camp! Thank you for all your love for kids and hard work! My 6 yr. old daughter has been going to M&M Ranch since she was 4 and had a birthday party there. She was very shy at first and not very confident. 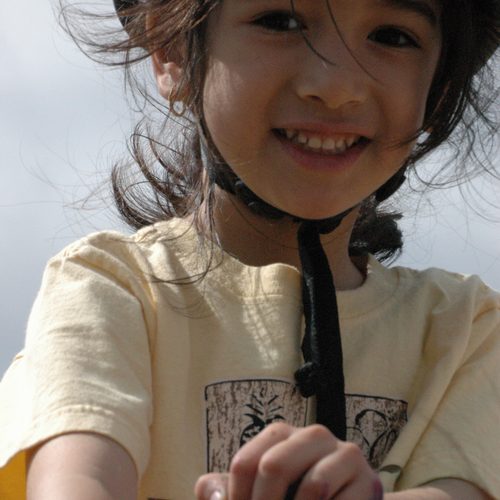 But after the first Spring camp, she had developed confidence and was riding very proudly. Instructors are very patient with kids and know how to interact with each child, no matter how different each of them is. She has then gone to 4 more camps and looks forward to the next one! My daughter loved her experience at the overnight camp. She had never ridden a horse before and she was able to “show off” all she learned at the end of the week with a huge smile on her face. 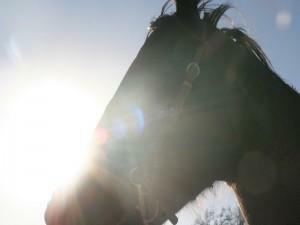 I think it’s great that they learn about all aspects of the care of horses and the work involved for a full experience. My daughter attended Horse Camp last summer and it’s one of her favorite memories. 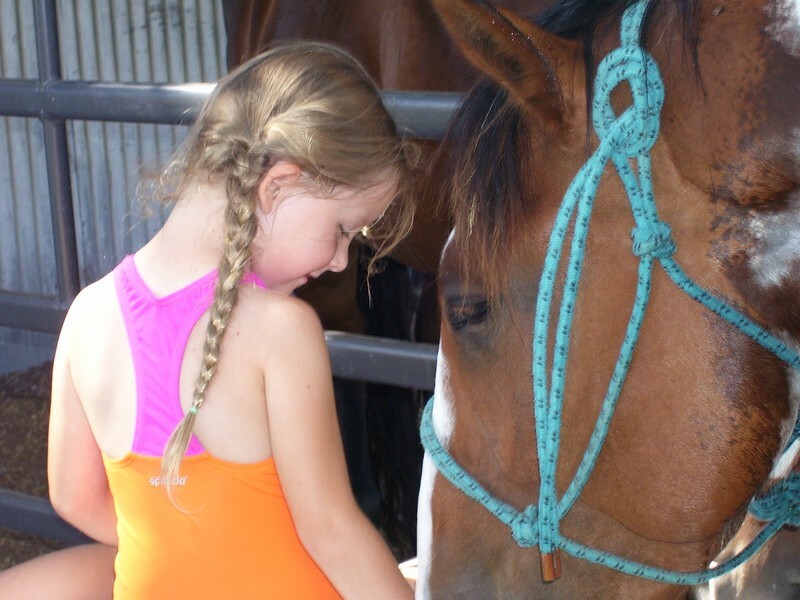 She talks about her horses name, the parent showcase at the end of camp, decorating and grooming the horse, learning about horse safety, and which friends she will see this summer at horse camp. Madi and her helpers do a fantastic job of helping the kids feel welcome and special! My oldest daughter started M&M horse camp at 4 years old and is now 8 and still looks forward to it. She really has learned how to handle a horse, care for them and ride! She has grown in her confidence as well. We started my 5 year old lady year and she can’t wait to go back! I highly recommend Madi and her crew. They not only love horses and know what they’re doing , but they love the children!